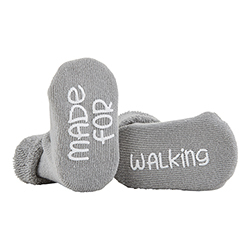 Silly socks are cotton on the outside and terry on the inside! 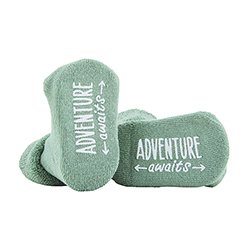 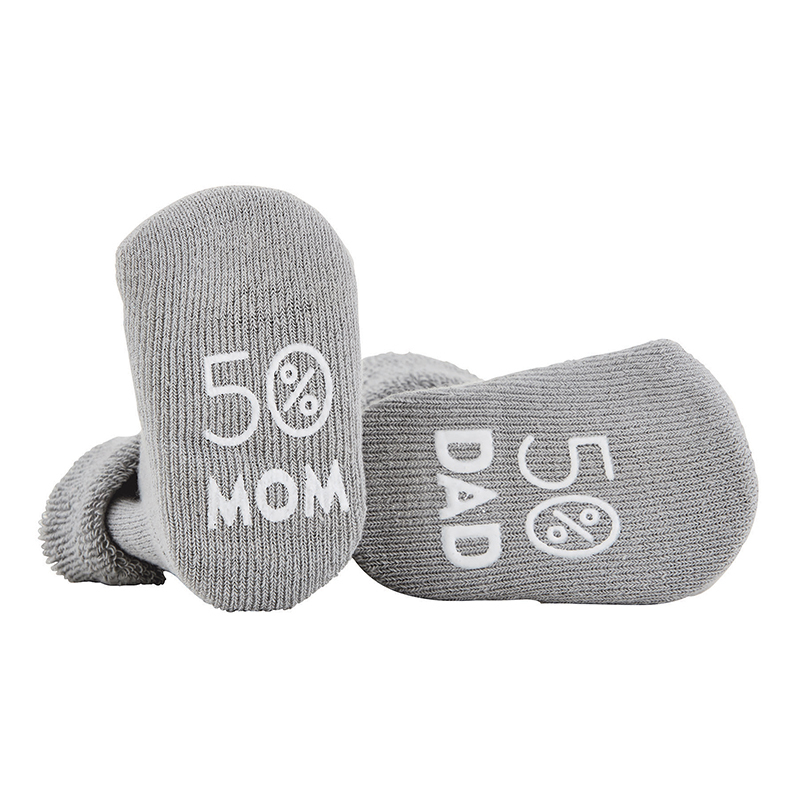 The non-slip printing on the bottom of socks features the cute saying '50% Mom / 50% Dad'. 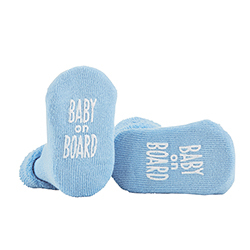 Comes on header card.